When asked for a response, a Microsoft spokesperson said the company doesn't comment on rumors or speculation. 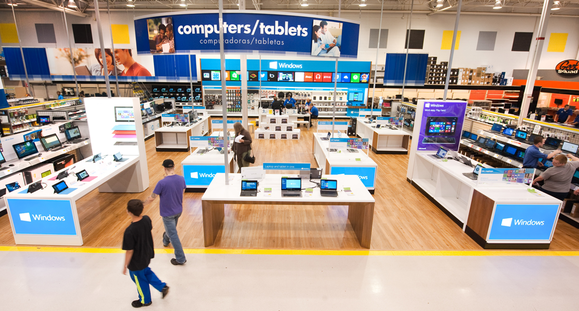 Microsoft 'stores-within-a-store' are popping up in 500 Best Buys across the U.S. It's hard to sell tablets with a lackluster app selection. 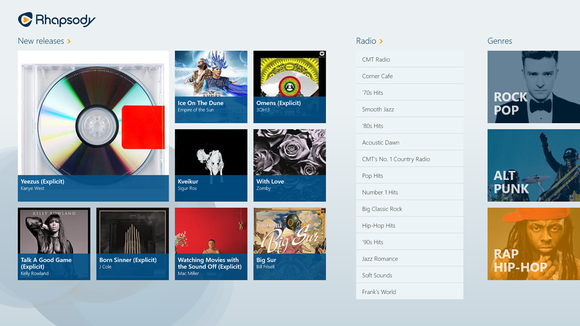 Rhapsody was one of the big-name apps released during Build, but the Windows Store's selection still lags overall. However, Microsoft has made improvements in this space. While there are still numerous glaring Windows Store no-shows, several big-name apps were announced for Windows 8 at Microsoft's annual Build conference— Facebook, Foursquare, and Flipboard among them—and app submissions have spiked in recent months. Windows 8.1 is a stellar update to the core Windows 8 experience, but one that tosses few bones to users who still prefer the core Windows 7 experience. Speaking of Build, the impending Windows 8.1 update unveiled at the conference stands ready to really polish Windows 8's rough spots and make the Windows 8 experience much more palatable. Simply put, it's a terrific update. It won't, however, win over desktop diehards who loathe the jarring transition to the modern interface—and that makes Asus' Shih less-than-optimistic. "In general for the total Windows 8 [experience], I think it’s not that promising," he told PCWorld. "One of the reason is, maybe, it’s still not that easy for people to switch to the new experience. For example, for Windows 8, the hottest app, sarcastically, is the one that puts the Start [button] back." It's great to hear that Steve Ballmer and the rest of the top brass at Microsoft are aware of their biggest problems, and even better that they're taking the necessary steps to correct those issues. (Shih is glad to see the Start button's return in Windows 8.1, for example, even in its altered form.) But revolutionary change isn't accomplished overnight, and until users become accustomed to the modern UI, expecting Windows device sales to surge—for the Surface RT or anything else—may be wishing for a bit much. Updated at 12:50 P.M. ET 7/26 with Microsoft comment.